Finding a hotel within walking distance from KLCC need not be agonizing on your wallet if you know where to find such hotel. Our recent trip to KL brought us to Le Apple Boutique Hotel's doorstep, which is just across the street from K Avenue mall (opposite KLCC). To get to the hotel, we took LRT and stopped at KLCC LRT Station, and then walked to the hotel. Le Apple Boutique Hotel KLCC nailed the boutique hotel definition of being a small stylish hotel situated in a fashionable urban location. An independent hotel brand, the hotel opened its door in recent years to guests ranging from business travellers coming to KLCC for meetings to out-of-town guests looking for entertainment and shopping excursions in the heart of KL. There are 78 superior rooms and 144 deluxe rooms fitted with a choice of King, Queen and Twin beds. All rooms have individual-controlled air conditioning, complimentary in-room WiFi, 40" LCD TV, in-room safe, hair-dryer, tea-making facilities and iron with ironing board. 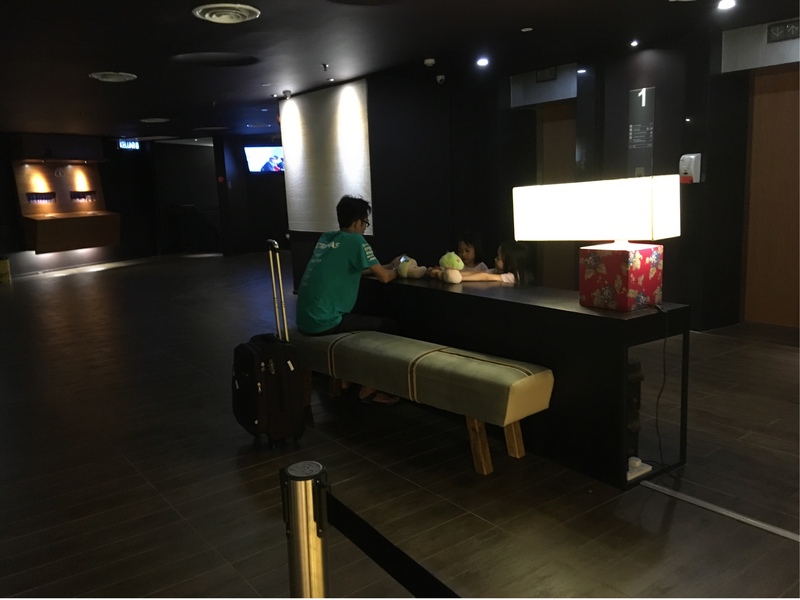 We received warm welcome at the check-in counter situated at the first floor, where the dim lighting and dark yet classy decor offered cool comfort to guests like us who had spent the entire day out in the sun from visiting the zoo earlier. Guests are free to take green apples in a fruit basket placed on the reception counter, perhaps as a tribute to the hotel's name. To our delight, we were offered complimentary room upgrade as it was our first time checking in at the hotel. How many hotels have offered such privilege before? None, in my experience! 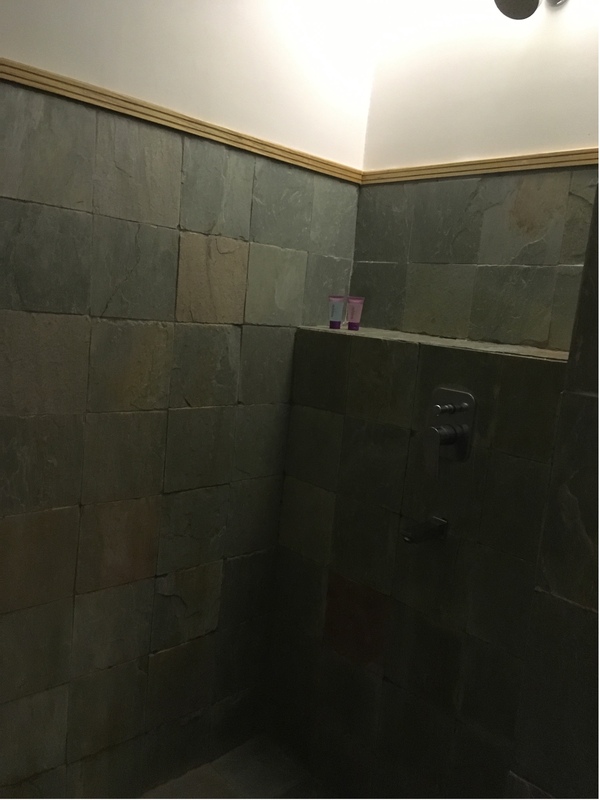 Having taken Marketing course before, I knew that this is another level of service to delight a customer above and beyond a customer's expectation, so kudos to the hotel management for coming up with this marketing strategy! 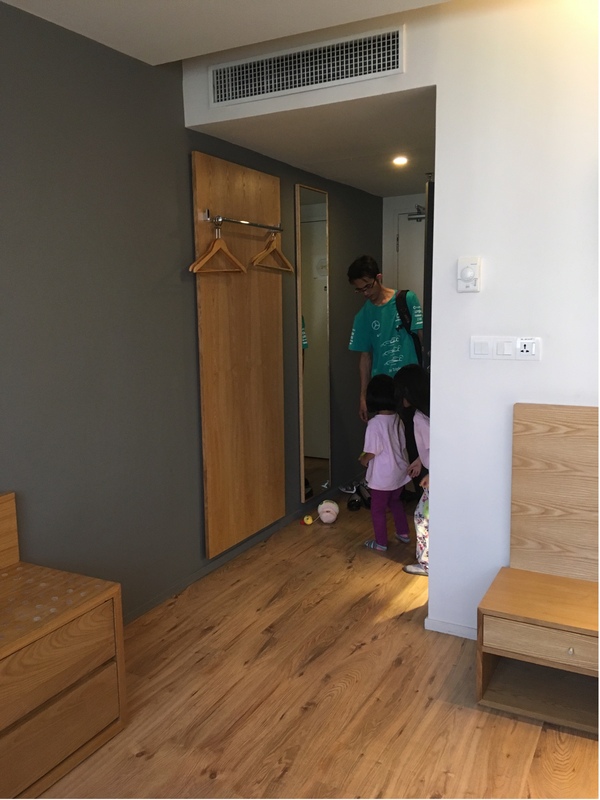 After checking in, we proceeded to our room to rest before going out in the evening. Again, we were impressed with the size of the room. 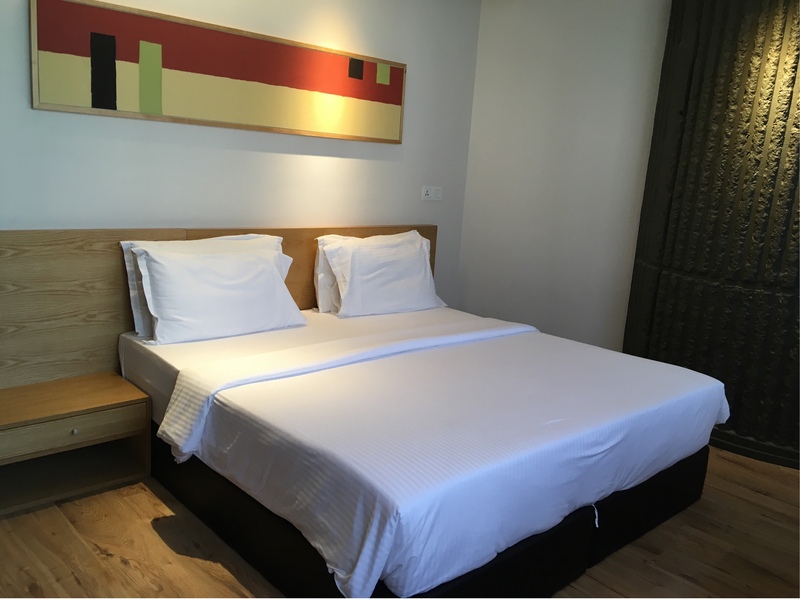 For the price that we paid and considering its vicinity to world-renowned location, our room is spacious and comes complete with all the amenities that you can think of. As far as first impression go, the interior of the room gives me mixed feelings. While the room itself offers modern contemporary design with an unusual massive black pillar at one corner, the bathroom looks like it belongs to another era. 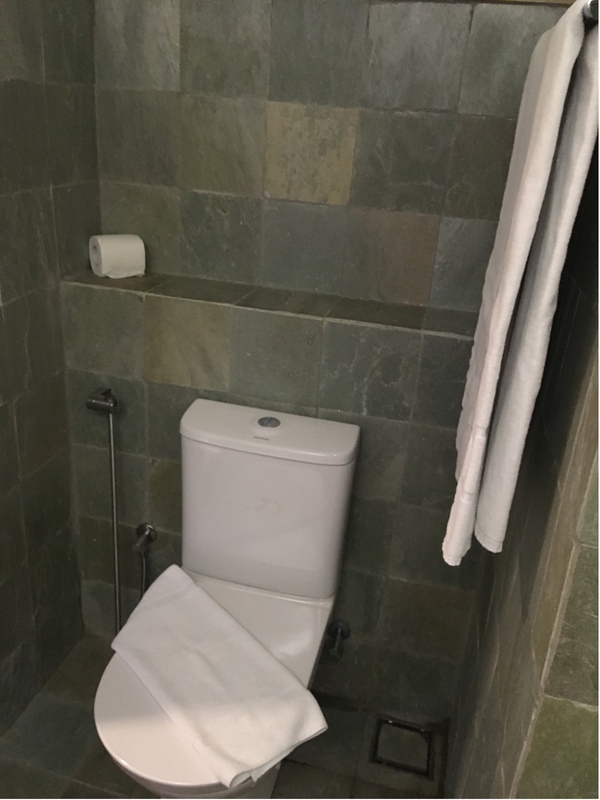 If there was one thing that I disliked about the hotel room, it would probably be the bathroom as the design was too bare, the lighting too dim and the overall concept doesn't fit the concept of a boutique hotel. Probably comes second, is the noise from outside of the hotel as the hotel is not sound-proof. Thankfully, we managed to get a good night's sleep as everyone was tired from our day's activities. 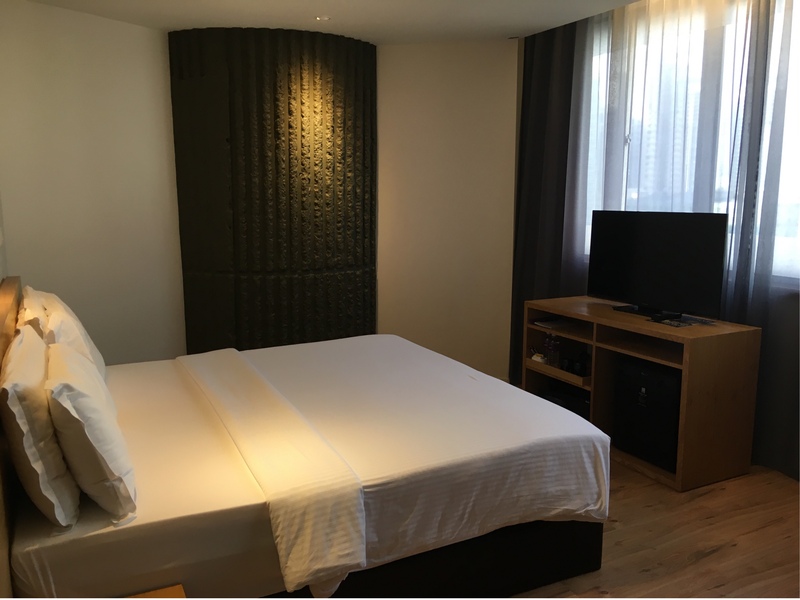 The room doesn't come with breakfast package but guests are given a discount coupon if they dined at ROKKO Japanese Grill Restaurant which is located on the ground floor of the hotel. Overall, I feel the hotel offers a satisfactory stay at a price that is affordable considering its prime location. This is a hotel that I would recommend my friends from East Malaysia to book if they are thinking to stay nearby KLCC.